After being silent for two years, I decided that the Quebec Camps Association Conference was a good time to begin blogging once again! The opening speaker at the conference was Jean-Pierre Brunelle, a physical education professor at the University of Sherbrooke. The topic of his talk was “Arousing Passion”. He spoke about the growing concern regarding youth becoming more sedentary and he identified passion as the key element in getting people to participate in physical activities. Each year, the ACQ aims to invite one special guest from the wider camp world. This year, Jim Cain was that special guest. He is the author of 10 books on team-building, teamwork and teamplay. I attended two sessions with Jim. The focus of the sessions was community building through various games, especially games relying on a minimal number of props. Each of the games that Jim taught us included, among its multiple purposes, the development of connections between people. The closing speaker was Jean David who works currently for the Carnaval de Québec, but who spent 15 years as marketing director of the Cirque du Soleil. One focus of his presentation concerned the importance of creativity. Within a company, the only limitation that exists is that which we put on our own imagination and dreams. Pursuing this thought, he identified creativity as the frequently forgotten essential element when governments speak about the great issues that confront society – health, economy, education and the environment. His take is that, with creativity, solutions to problems in every sector become possible. Without creativity, there is little hope for change. I left the conference with new ideas and new energy, with the certainty that Nominingue has all the elements in place to make a summer camp experience come alive for the boys that attend. Whether it is a game of pony express on the first evening of camp or Western Night or the Tribal Games, or the wide variety of instructional activities from nature study to climbing to woodworking to archery to lacrosse, there are so many opportunities to get kids active and moving, and to experience activities that arouse their passion. 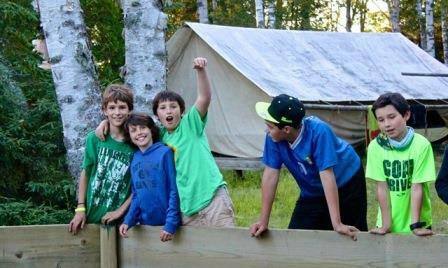 Camp Nominingue is a place of connection – between the campers and the counsellors and between the campers. The small tent group of 5 campers and a counsellor, and for most of the younger boys a junior counsellor as well, ensures that there is a comfortable community of friends and adults for each camper to rely on. Nothing works better than a canoe trip, an experience that most campers experience at Nominingue, where age-appropriate challenge and adventure are encouraged, to build team spirit, trust and confidence in a small group. 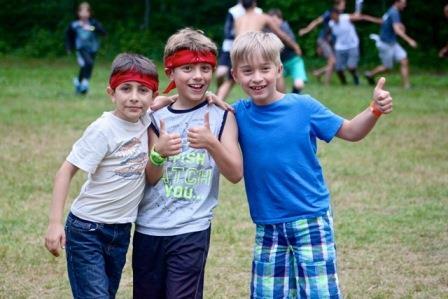 At the end of each month, the tribal games and voyageur games expand the connections of the campers to include both older and younger campers, as each camper’s community expands to include maybe the whole camp. Camp Nominingue has been in operation since 1925. 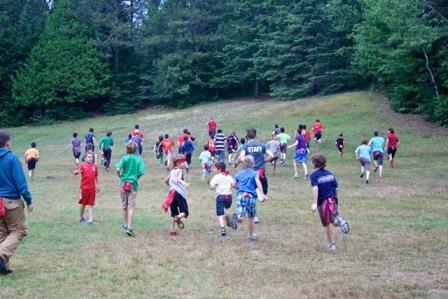 Campers have been enjoying a program that works for boys for 90 years. It would be very easy to continue doing the same activities and take the same approach that was used last year or 40 years ago. 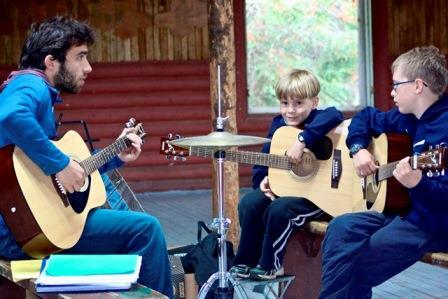 Each summer, approximately 70 counsellors and 100-200 campers attend Nominingue at any one time. Our goal must be to listen to staff both new and old, to give campers opportunities to express their ideas and opinions, to identify new ideas, to provide the support required to implement such ideas, to be open to taking a risk, and to take on new challenges to ensure that Nominingue stays relevant and exciting for the next 90 summers! I thank Jean-Pierre Brunelle, Jim Cain and Jean David for reminding us about some of the key goals that we must set for ourselves at Nominingue and at camps across Quebec.